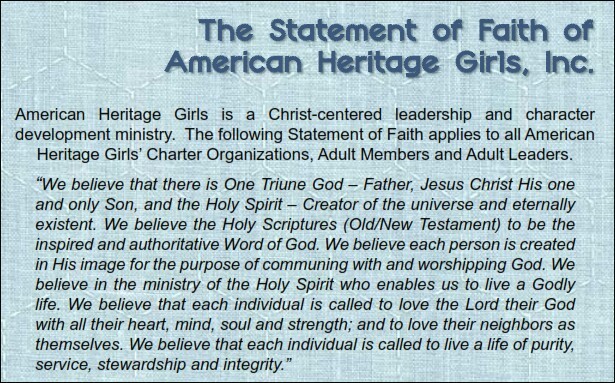 Per my June 12 item, I filed a handful of complaints with government and private organizations against the Cincinnati-based American Heritage Girls, a self-described "Christ-centered" alternative to the Girl Scouts of America. In association with Cincinnati's Heimlich Heroes first aid training program, AHG is apparently teaching thousands of girls around the country to perform abdominal thrusts (the Heimlich maneuver) to revive unconscious choking victims. The treatment is reportedly is not approved by the American Red Cross and the American Heart Association and apparently has never been researched. In other words, Heimlich Heroes and AHG are apparently circulating an experimental medical treatment. Dunno. I've sent multiple courteous inquiries to both organizations, but I've never gotten an answer to that question. What happens if someone gets hurt as a result? But here's something I do know. Follow the Heimlich Institute's activities and you're likely to turn up unexpected, often-newsworthy information. ...(It) was rare when I spent time with non-Jews and was not made to feel self-conscious about my religion. 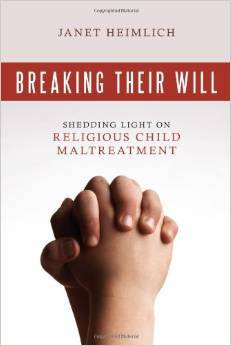 BB: Your book notes that you encountered anti-Semitism in college and during your career. 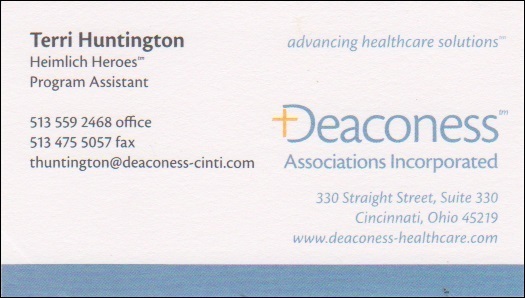 Was it significant that the Cincinnati hospital was Jewish? HJH: It was significant in that Jewish doctors were not taken into non-Jewish hospitals in those days. That's the only place I could possibly be -- in a Jewish hospital. Those days are gone forever, I'm pleased to say. Discrimination against Jews may have diminished in the medical profession, but it's proudly practiced by the Heimlich Institute's partner organization -- yes -- the American Heritage Girls. Based on their "statement of faith," any woman who doesn't fit this description is barred from holding leadership positions in the organization. That means my mother -- daughter of dance studio mogul Moses Teichman, better known as Arthur Murray -- and my aunt Cele would not have been permitted to lead an AHG troop. 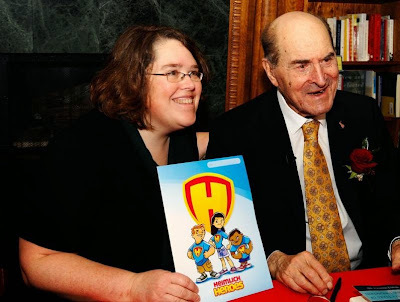 Same goes for my sisters Elisabeth Heimlich of Cincinnati and Janet Heimlich of Austin, TX, who edited Heimlich's Maneuvers and authored a nonfiction book about religious extremism and founded a related nonprofit intended to prevent kids from being harmed by religious kooks. Arguably the most prestigious public recognition my father ever received was being awarded the Albert Lasker Award in 1984. The Lasker Awards are among the most respected science prizes in the world. Since 1945, the Awards Program has recognized the contributions of scientists, physicians, and public servants who have made major advances in the understanding, diagnosis, treatment, cure, and prevention of human disease. Lasker Awards often presage future recognition by the Nobel committee, so they have become popularly known as "America's Nobels." Eighty-six Lasker laureates have received the Nobel Prize, including 44 in the last three decades. Many people ask me how I came up with (the Heimlich maneuver)...I invented it just as I have all my other techniques and devices -- that is, through scientific research. Who's the knucklehead responsible for the Heimlich Institute's decision to partner with an organization that wouldn't permit members of Dr. Heimlich's own family to hold positions of authority and whose approach to science is based on the book of Genesis? FYI, I provided Terri Huntington of Heimlich Heroes and AHG founder/executive director Patti Garibay with the opportunity to comment for this item. I haven't receive a reply from either, but if they or another representative of their organizations wish to submit a response, they can click here to e-mail me.